You can find this campsite just few steps from one of the iconic places in Iceland, Skógafoss waterfall. If you bend to be in the center of everything and have a (small) chance to be by Skógafoss alone, this camp is the right place for you. The downside is that it is adjacent to a parking lot and has almost no amenities. The price is 1600 ISK/pp. You can find it just stone´s throw away from Skógafoss, you definitely cannot miss it. 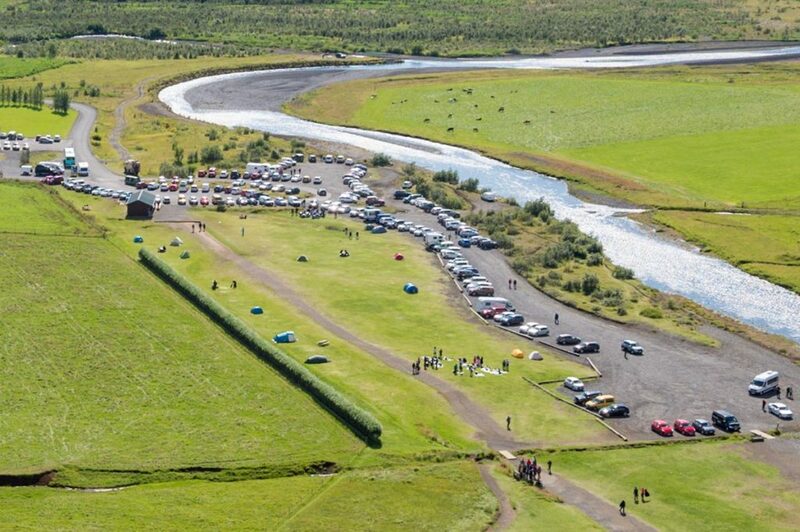 GPS coordinates of Skógar campsite: 63.527883, -19.512085 Take me there!